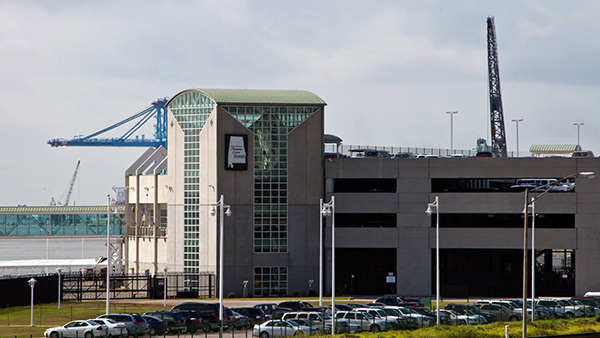 The City of Mobile, Alabama Cruise Terminal features a two-story 66,000 square foot terminal, state of the art security and an attached 500 space parking deck with six covered pickup/drop off lanes and a pedestrian circulation tower with 4 elevators, escalator and stairwell. Conveniently located in downtown Mobile, the terminal is close to numerous hotels, restaurants and attractions. For ease of access, the terminal is .5 miles from I-10 and 6 miles from the I-65 and I-10 junction.